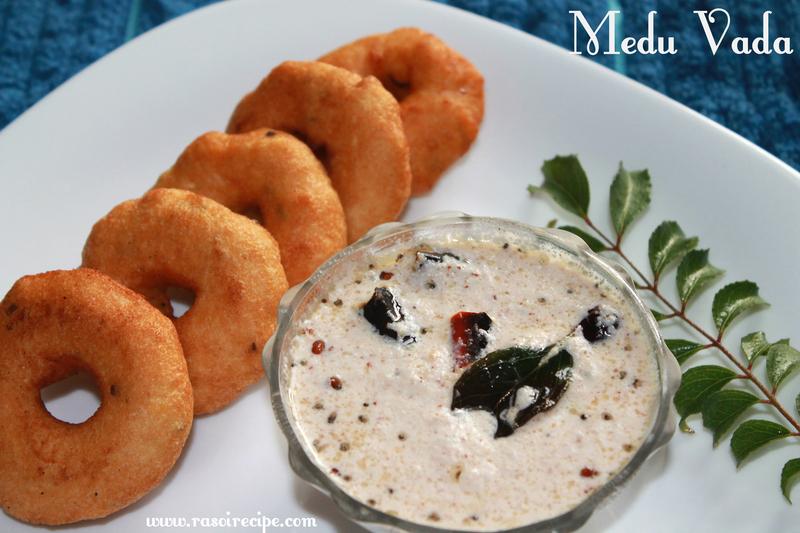 For medu vada recipe, you will need – urad dal, curry leaves, green chilies, salt, asafoetida, and ginger. 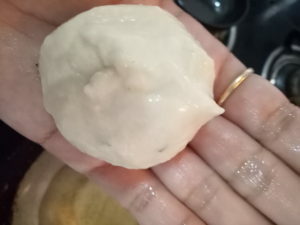 For the preparation of vada, urad dal is soaked for at least two hours, then dal is ground to a smooth paste or batter. 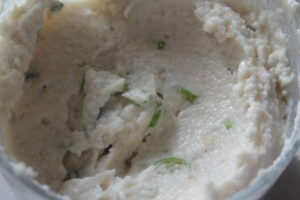 The batter is then flavored with green chilies, curry leaves, salt, ginger, asafoetida. 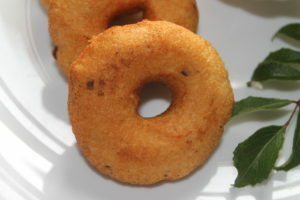 You can also add chopped onion, chopped coconut or black peppercorn to flavor the vadas. 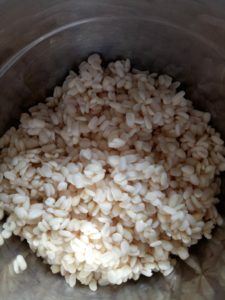 You can share your re-creation of this recipe or any other recipe from Rasoi Recipe. 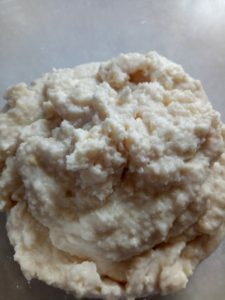 You can share it on Facebook page or directly email it to me on rasoirecipe@gmail.com . I would love to hear from you guys. If you have any suggestions or if you want to share your views or appreciation, you can leave your message in the comment section below. Water only if required for batter preparation. 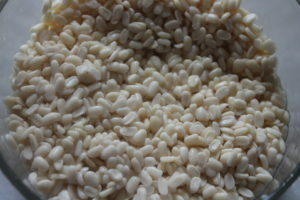 Wash and soak urad dal for at least two hours. 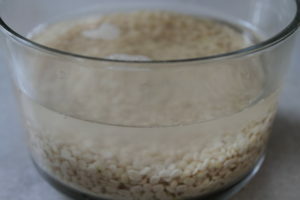 After two hours, strain water. 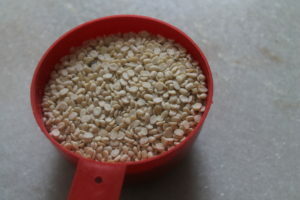 Prepare a smooth paste of urad dal. 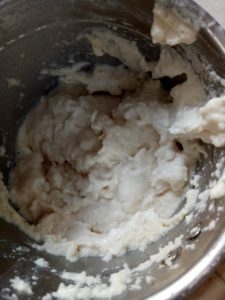 Beat the batter at least for five minutes to give it a fluffy texture. Next add, chopped curry leaves, ginger, green chilies, salt and rice flour. Heat oil in a deep pan-kadhai. 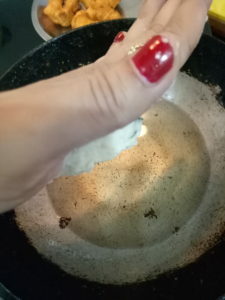 Wet your palm and fingers, take 1 tbsp of batter in hand. Flatten the ball, and make a hole in the center with your finger. 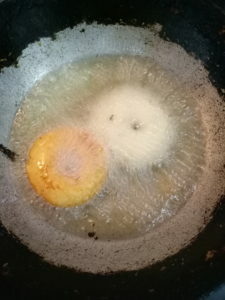 Carefully drop the vada in the hot oil. Deep-fry vadas on medium flame. Fry all the vadas in small batches. 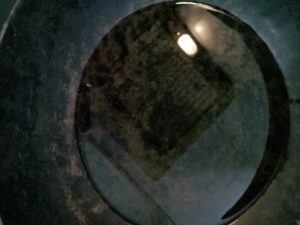 Remove vadas on an absorbent paper. Serve hot with coconut chutney or sambhar! 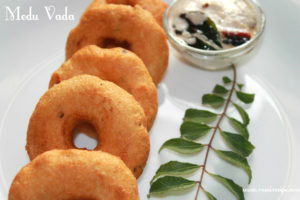 Vadas are so yummy! I like to have them with sambhar. 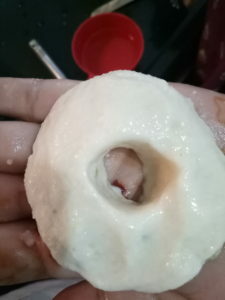 My vada shapes are always so disfigured. But they do taste yummy.